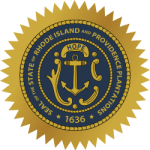 Child support tools and resources such as an online calculator and child support guidelines are contained in the office of child support services in Rhode Island. With a login account, you can access it from anywhere, make payment, check the status of your account, check the history of payments you have made, and view the status of the child support orders. All this helps you to stay up to date with what is happening and thus flexibility. Every parent or guardian that wants to manage their child support accounts online has to register for it. Once this is done, you will create an account which you will use from time to time to access your account and manage it the way you want. Step 2: Enter username and password, and then click the login button. Step 1: Click the button as shown. Step 2: Insert username and email address, and then click Next. Step 1: Click the forgot my username button. Step 2: Insert case number and email address and then click Next. Step 1: Click create my account. Step 2: Insert case number and PIN, and then click continue. The choice of an online account comes when you want to have everything that relates to child support on the go. You can access the account using our mobile device or PC and make payment with ease. Also, you can view and review all child support court orders placed and see their status. All, without having to go to the child support offices.